Subsidised LPG price has been hiked by Rs 4.50 per 14.2- kg cylinder to Rs 495.69. 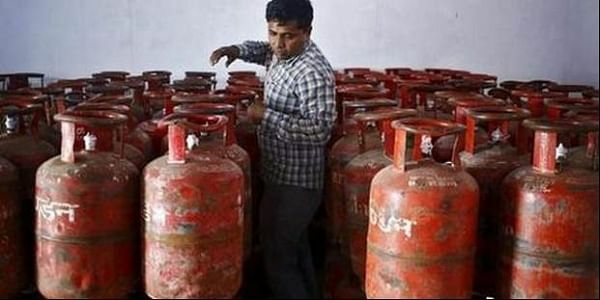 NEW DELHI: Cooking gas (LPG) price was today hiked by Rs 4.50 per cylinder, the 19th increase in rates since July 2016 when the government decided to eliminate subsidy on it by raising prices every month. Also, jet fuel or ATF price was increased by 2 per cent on firming international rates, the fourth straight increase in rates since August, according to price notification posted by state-owned retailers. The price of non-subsidised LPG or market priced cooking gas has been hiked by Rs 93 to Rs 742 per bottle. At the last revision on October 1 the rate was hiked by Rs 50 to Rs 649 per bottle. Initially, the hike in LPG rate was Rs 2 per month which was doubled to Rs 3 from May this year. Today's hike in the LPG price is sixth since the May 30 order of the oil ministry to raise rates by Rs 4 per cylinder every month.